4 out of 5 based on 1 ratings. 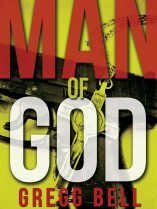 Once he was a gentle soul, a man of peace, but after thirty years of ministering in his gang-infested Chicago neighborhood, Reverend John Archer fantasizes about killing gang members. He fights the sinful thoughts, but the fact of the matter is turning the other cheek hasn’t worked—the gangs are winning. Still, not in the best of health and only a week from retirement, Archer feels if he can hang on, he’ll have fulfilled his duty to God and man. That’s when he looks out the church window and sees a young boy shot in the head. He rushes to the police station and gives a sworn statement. Only when it’s too late does he find out that the gang leader he identified is known for butchering witnesses—and their families. Archer scrambles to protect his wife and two children, but before he can, a gang member abducts him and drives him to a fleabag motel outside city limits. Archer prays desperately and believes he hears from God, but the answer surprises—the gang member, Billy, is sick of the gang leader’s brutality too. Even more surprising, Billy’s heart seems to be softening, while Archer’s is hardening. The odd pair form an uneasy alliance and together come up with a desperate plan—an ungodly one. The way of the Lord is to love thy enemy, but the way of the hood is to kill or be killed. With his family in mortal danger, Archer must decide between trusting the laws of God or the laws of the street.